The PCE-TT1 voltage detector is a two-pole detector designed for the most demanding tasks. The PCE-TT1 voltage detector has a wide range of measuring functions as well as the overvoltage category CAT III 1000 V to be used both in the industrial sector and in daily maintenance works. 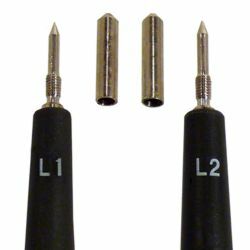 The PCE-TT1 voltage detector has a very solid structure thanks to its soft rubber handle. 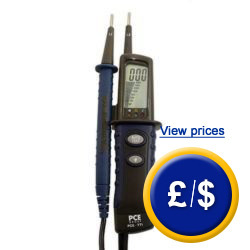 The PCE-TT1 voltage detector is the ideal device to be used in the electrical sector. Thanks to the illumination of the measured point you will be able to take measurements with the PCE-TT1 voltage detector even under poor light conditions. By means of the bar graph, you can know the voltage range. As the PCE-TT1 voltage range has a contact distance of 19 mm, it is possible to be comfortably used with just one hand, which is a great advantage for electricians. 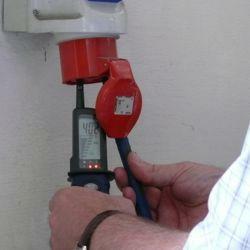 At the following link you will find other voltage detectors available at PCE-Instruments. Operating humidity <85 % H.r. 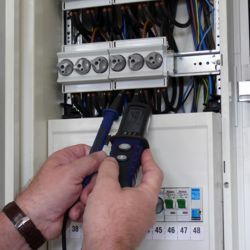 The PCE-TT1 voltage detector testing a socket with illumination of the measured point. The PCE-TT1 voltage detector measuring electromotive force with rotation field indicator. 1 x PCE-TT1 voltage detector, 2 x batteries and user’s manual.